Winter is coming. In Ohio, that means below zero temperatures are not too far off. It is time to take control of your home's heating and cooling without lifting a finger with one of the "coolest" products I have ever reviewed. The Nest Learning Thermostat learns your habits and adjusts to automatically regulate your home's temperature based on your schedule. This is the new 3rd generation version, which is thinner, sleeker in design, and allows for a bigger, crisper display than the prior 2nd generation version. The features don't stop there. It’s also proven to help save energy. The Nest Leaf feature alerts you when you choose a temperature that's energy efficient. It guides you in the right direction. In independent studies, the Nest Thermostat saved an average of 10-12% on heating bills and 15% on cooling bills. You can track how much energy you've used, and follow Nest's tips that will help you conserve. So how does it work? The Nest Thermostat Auto-Away feature automatically turns itself down when you’re away to avoid heating or cooling an empty home. You can also view your Energy History to see when heating and cooling were on and what affected your energy use. There are even Safety Alerts that you can get on your phone or tablet if your home gets dangerously hot or cold. It is like you have an energy conscious friend living in your home with you. When Nest Thermostat spots you across the room, it lights up beautifully to show you the temperature you’ve set or the time. Different features follow your activity, manage humidity, and keep an eye on the weather to provide a custom climate for your home. You can set it to accommodate your schedule and temperature preferences. Programming is simple. It learns the temperatures you like and programs itself. Yes. It does the work for you! Within a week, the Nest Learning Thermostat starts programming itself. It learns your habits and adjusts automatically, regulating your home’s temperature based on your schedule. This is how to save you energy and money. When you're not at home, it enters into “Away” mode. It will automatically switch to an energy-efficient temperature. My favorite feature is the Nest app. To get the most out of your Nest, connect it to your existing home WiFi network and download the free app from iTunes or GooglePlay. Then you can actually change the temperature on your phone, tablet or laptop, even when you're miles away! I have been using this feature a lot. For example, if I wake up in the middle of the night and I am a bit cold, I just roll over, get my phone, and adjust the temperature! I have also adjusted the temperature before leaving work to get it all warm and toasty. Never come home to a cold house. You can easily turn down the temp when traveling, or set it to warm up your home before you come home. The Nest Learning Thermostat was a cinch to install. System Match activates features that work with your specific heating and cooling systems and connects to most 24-volt forced-air, heat pump with AUX, dual fuel, and radiant systems. Everything works fantastic in my home and it is 65 years old! To keep things as connected as possible, I was also sent the Netgear Nighthawk Router to review. 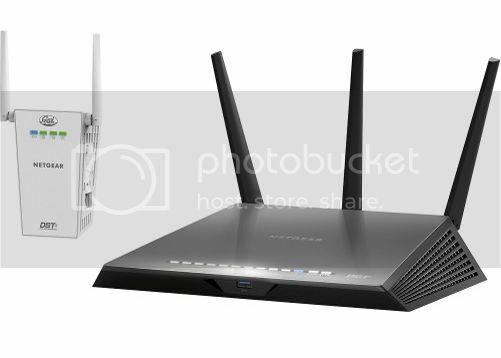 The Netgear Nighthawk DST Router and DST Adapter are new and available exclusively at Best Buy. The AC1900 router lets you enjoy a reliable wireless network. This brand new router was exclusively developed between Netgear, an industry leader in the networking world, and Best Buy, to help provide consumers with an easy, all-in-one solution to support their home’s connected devices. As the number of WiFi dependent products increase in a home, this puts a strain on the home’s network, especially the router. Did you know that the average US household has 7 connected devices? Smartphones (often several in a home), tablets, laptops, computers, printers, online gaming, and 4k TVs are just some of the connected devices that place more demands on the network. So when we add things such as smart thermostats, plus the need to stream shows from Netflix or Hulu, many households may experience slow WiFi, dropped calls, or experience “dead zones”. This could be improved upon with an “AC” router, WiFi extenders and expert help. Beamforming technology delivers a concentrated signal straight to your connected devices, and three detachable antennas strengthen the signal even more. Plus, you can plug the included Dead Spot Terminator (DST) adapter into an electric outlet to broadcast a secondary signal to fill in dead zones in your network. This high-performance router was built to support 10+ connected devices. You can also prioritize devices for streaming videos or music, and included advanced features for lag-free gaming. The Nighthawk Router comes with Geek Squad Set Up and Support via phone and web, for one full year. The Geek Squad service via phone and web allows customers to call or get help 24/7 whenever they want, vs. the need to schedule an appointment. They take care of everything and walk you through the installation. Since set up of the router, I have noticed no lagging or dropouts on any of my connected devices. It is a happily connected home! 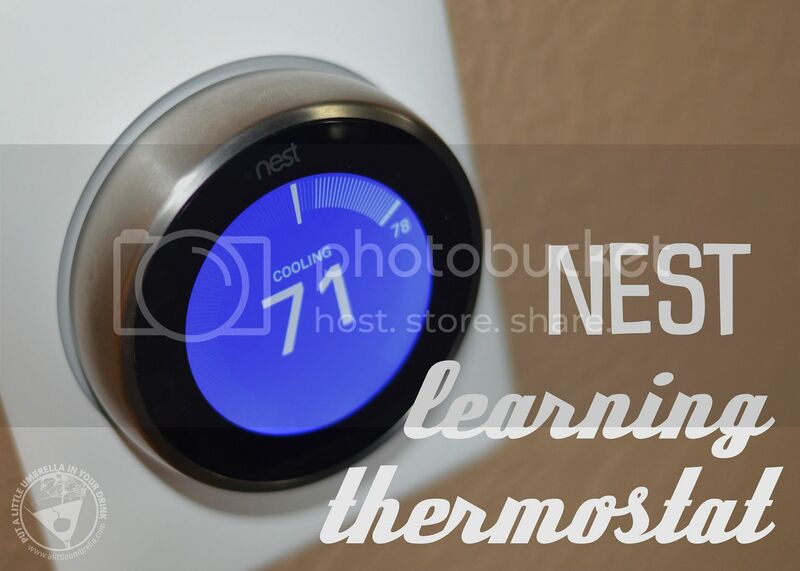 I am so impressed with the Nest Learning Thermostat! Get it now before the cold sets in. I can see why they say that the Nest will eventually pay for itself. It is so smart, it can save you money on your energy bills. Not to mention that it looks fantastic and is so user-friendly! 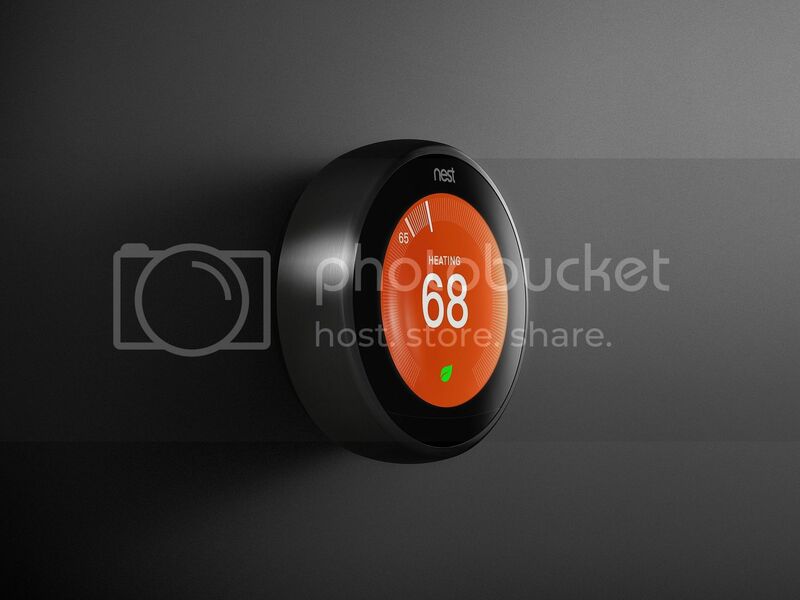 Check out Nest at Best Buy where you will find the Nest Learning Thermostat, the Nest Cam and Protect, and other home automation devices. While you are there, you can also pick up the Nighthawk Router to keep your home connected.